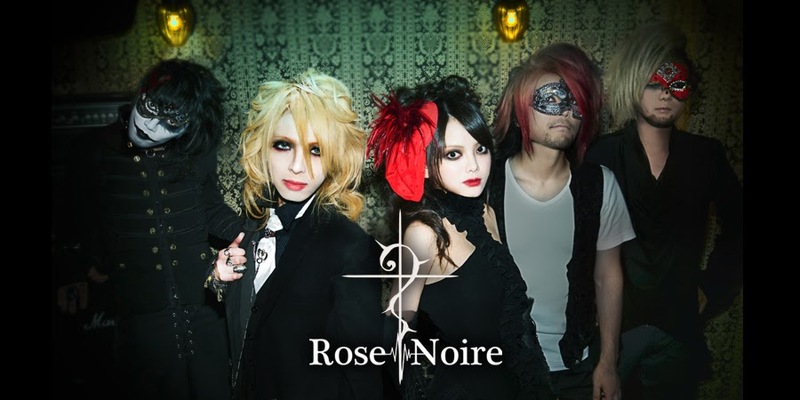 Rose Noire was formed by members Louie (Vocalist) and Jill (Violin) when they were the students of the Tokyo National University of Fine arts and Music. They won the ZOOM at SONY-ZOOM DEMO tape competition in 2007. Their music is free from predefined genres and concepts. Composed of their own world, in their own image, of their own existence and music. Classical with a touch of variety like Rock, R&B, Club music, HipHop, Industrial, Electronica and others. Most known for saying/catch phrase: Where there is a will, there is a way. The time is near! 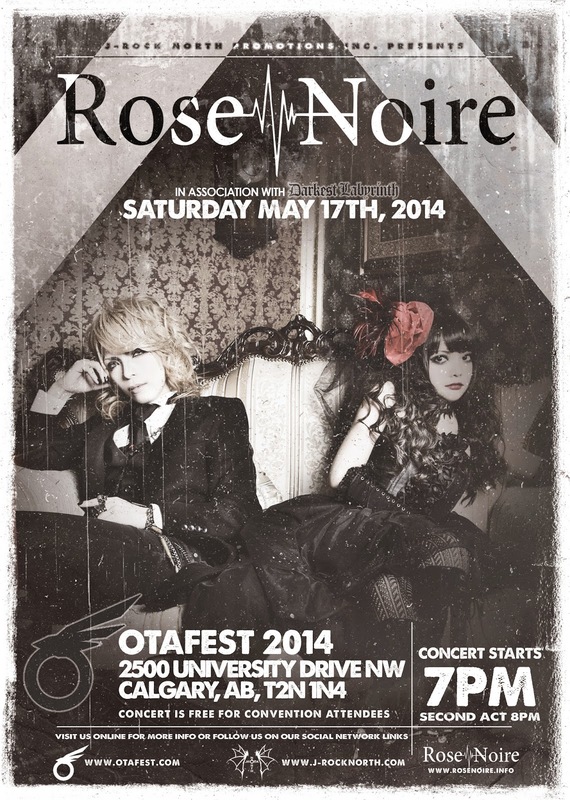 Rose Noire are making their way throughout North America and are performing at both Otafest in Calgary, AB and Anime North in Toronto, ON this May! Having just made their way through Mexico the band kindly took some time to speak to me prior to their arrival in just a few weeks! Q. Thank you for taking the time to speak with me today. Would you please introduce yourselves to those reading about you for the first time and also tell me your favorite restaurant to eat at?Louie – Thank you, too! I’m Louie, the vocal and composer of Rose Noire. Rose Noire is a sibling band whose music is based on classical music and adding rock, club music and other various genre. I like restaurants wherever I can drink lol. And I love sweet stuff. Jill – Hello, everyone! 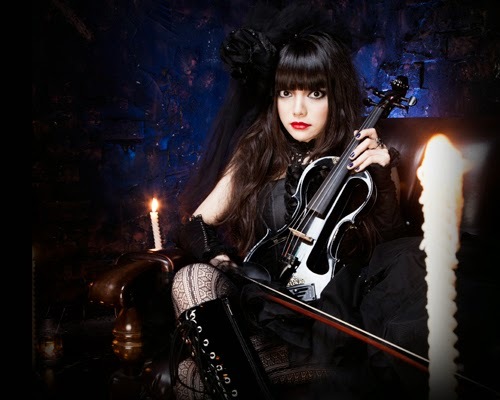 I’m Jill and the violinist of Rose Noire. Rose Noire is unique band because of its music and gorgeous and beautiful worldview. I want everybody to know Rose Noire more! And my favorite restaurant is drinking place, too. Also I love beautiful interior furnishings places. Q. Your band name “Rose Noire”, how was it chosen? And how did you come to call your fans “Black Cats”? Louie – Rose Noire is “black rose” in French. Black rose means that it does not exist, or like that. So we chose it as “beautiful like it does not exist”. Jill – Some fans thought up “black cat” for our fans! Q. You have had many different styles and influences in creating your musical image, how did you arrive at Visual Kei? 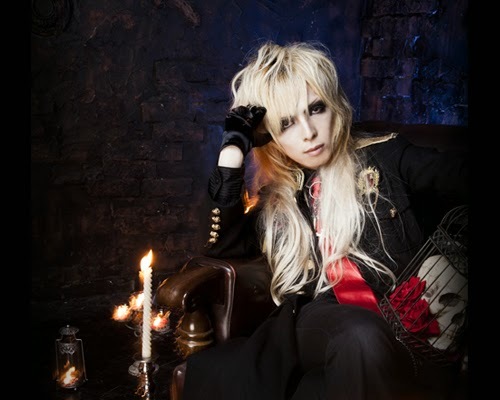 Louie – I’m not sure that we are truly Visual Kei but I love beauty and beautiful stuff. So I do make up myself and care about appearance. Jill – The vision inside of Louie is very dramatic, intense and beautiful. So Rose Noire’s music is realization of his world. Q. Within all those influences, who would you say has had the most impact? Is there an artist or group you would love to work with or share a stage with? Jill – It’s difficult to choose one but if I must choose it’s L’Arc~en~Ciel. I’m so happy if we can have a stage together!!! Q. Visually you’ve chosen a gothic, though slightly more modern version for your various band looks. Is this choice based on the music you perform or more influenced by your personal style preferences? Does this style flow over to your ‘everyday’ wardrobe as well? Louie – My everyday wardrobe is more modern and a little bit more casual than the band’s one. However I like black and luxury one. Jill – My every wardrobe is more modern and casual too. Basically I choose black but sometime add more colour. I like luxury but, comfortable to wear and make my figure look good. Q. You have had the opportunity to perform in venues outside of Japan. How would you say this has influenced your music? Is this something you would recommend for other artists to pursue as a means of strengthening their skill? Jill – and power of music to make people happy. Q. You recently released your first full album “APOCALYPSE -the Resurrection of Notes-” this past December. This album comes a full year after your previous releases, “Neo Renaissance -2nd movement-” and “Neo Renaissance -1st movement-“. How did your music change during that time? Louie – Actually this time is a re-release. So our truly first album is “APOCALYPSE”. However the first press has been sold out long time. Jill – Basically we didn’t change from first press but this time we sent attention to detail. Q. If I asked you to pick just one track that best represents Rose Noire, which would you pick, and why? Louie – “Rococo” because it includes various essence of a lot of music. Jill – I pick “Bones” because this song’s melody and arranging is delicate but boldly and beautiful. So through the world of this song realize Rose Noire. Q. “APOCALYPSE -the Resurrection of Notes-” also brings with it new support members: Support Guitar. NEMU, Support Bass. tAk, and Support Drums. Ebisumaru. What was the decision behind expanding the band to include these members? Are there any plans to make them, or others a permanent member of Rose Noire? Louie – About make them to permanent members is No. Because Rose Noire is our sibling duo band. However we thought it’s necessary to expand our expression. Jill – We joined same event as other bands, so we thought we can doing well with them!! Q. With all that you have done and achieved, where would you like to take Rose Noire next? Louie – Wherever people want Rose Noire. Jill – For the people who love Rose Noire and who don’t know Rose Noire, too. And I want everybody, all over the world, to know Rose Noire. Of course, in more place in Canada! Q. You have been invited to play at both Otafest in Calgary and Anime North in Toronto this coming May, what words would you like to pass on to your fans waiting to see you there? Louie – I’m so happy to be in Canada! And I’m looking forward to meeting fans in Canada. Let’s enjoy with us!! Jill – Thank you for inviting us and can’t wait to meet you!! A HUGE thank you to Rose Noire: Louie and Jill for participating in this feature! Also thank you to J-rock North Promotions and Darkest Labyrinth for organizing this interview!